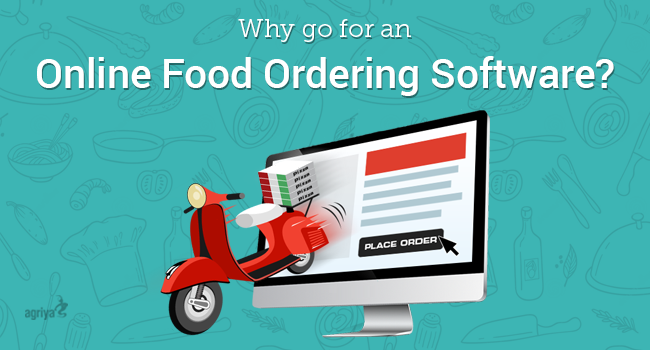 Why go for an online food ordering software? Lately, several food-oriented establishments have started to make it big by expanding their business through an online food ordering website. It has several benefits to offer, as one can potentially conceptualize their business model through it. In one way or another, it finds a way of adding value to your online presence. Initially, your ideation should be based on a thorough research covering everything right from the basics to upscale processes. If you get that right, you’re done with 70% of the market segmentation works. Simply, increasing your customer’s order experience by adding point-of-sale in the website must be the primary objective. On any given day, customer service and satisfaction is an invaluable asset for a food venture. More tedious and manual the work process is more chances of confronting negative reviews, triggering a loss of active and potential customers. Which is why its always good to have an online food ordering script that manages the entire workflow effortlessly. By opting for an online food ordering script, you get to customize your restaurant menu frequently. The good news is that it’s cheaper and simpler to create an online menu. Unlike the telephonic ordering, you’re generating a great room for customers to explore your menu conveniently. On the whole, you’re giving yourself a fair chance of making more money over a single order. A recent statics suggests that on average one make $4 extra, compared to what they were getting through non-digital orders. It renders an effective way of promoting your business online. As a part of marketing and business strategy, one can endorse special offers and discount coupons through the social media integration that the script generally offers. It helps a great deal in increasing your customer base. Key players like food panda, just eat & zomato have done a great job in familiarizing online food ordering practices. You need not worry about developing it from the scratch, as cheaper and affordable means are available for your taking. This keeps the other wannabe entrepreneurs interested as well. They can systemize their own online food ordering platform and progressively move forward by providing the listing status to restaurants. Whereas, restaurant owners can get started instantly just by integrating this online food ordering script to their active and existing websites. Also, they can co-exist with the third party websites. In both cases, the smart and go to option will be to hand-pick clone scripts of Just Eat, foodpanda, Swiggy and much more leading service providers. Ultimately, if you’re into food business or planning to, developing an online food ordering platform is the need of the hour. After a thorough market research and analysis, the team of Agriya has developed an all-inclusive platform in the name of “online food ordering system”.